Anthem is a world and story that has lived inside of my heart and mind for a long while. Two and a half years ago, we revealed Anthem at E3. And last night, we finally shared more about our story with a new trailer at The Game Awards. Seeing the amazing reactions was a much needed reminder of why we work so hard. Speaking of working hard…while a small group of us were in Los Angeles, our teams back home in Austin and Edmonton were heads down getting ready for our Closed Alpha playtest. There’s been a lot of excitement for it, and I’d like to give everyone a little more context around what we’re doing with this playtest and what a player will experience. To those of you who registered to playtest the game, we hope you enjoy it. You’ll have a chance at the end to provide us feedback, we’d love to hear from you. For those who aren’t able to get in and still want to try out the game, don’t worry we’ll have another chance for you to do so in our VIP Demo starting Jan. 25, or Open Demo starting Feb. 1. 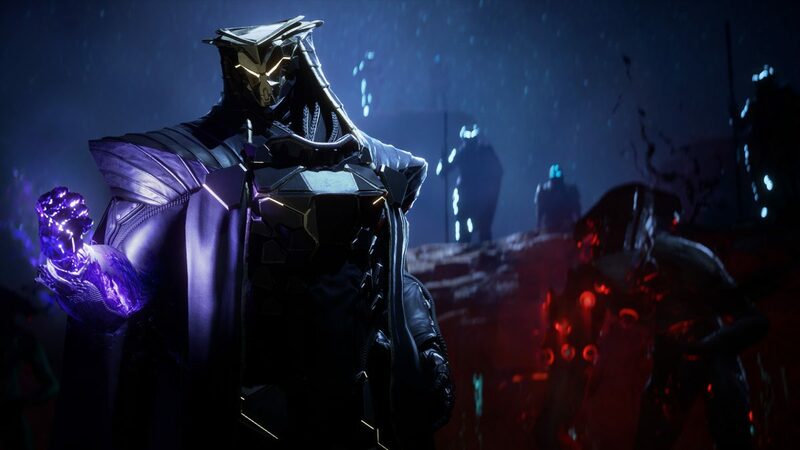 The demos will include sections of the final game, so you can enjoy Anthem ahead of its February 22 launch. It is incredibly gratifying to see the excitement for the game and we’re getting ready to share even more in the coming months.